If there were ever a place in the United States to learn English as a second language, South Florida is it! Thanks to the huge contribution of technology, the world has become a small global village fusing into a melting pot of diverse customs and cultures. However, there is one aspect of every culture that remains constant: language. 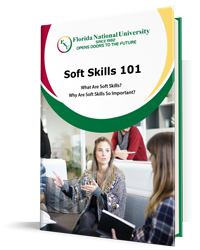 Having the skillset of being bi-lingual is a huge asset for job seekers, especially in South Florida. South Florida is Full of Diversity! South Florida is home to Miami, one of the most populated cities in the state of Florida with a diverse mix of cultures. According to NBC News, 70% of Miami’s population is Hispanic hailing from Cuba, Puerto Rico, Dominican Republic, Mexico, Venezuela, Columbia, Brazil, Guatemala, Nicaragua, Honduras, and El Salvador. Other nationalities include Haitian, Italian, Asian, Native Americans, and Greek to name a few. Needless to say, South Florida is rich in culture where Spanish is the second most used language, English being the first. Learning another language at the most prestigious university can’t always fully prepare one to become fluent right away. College courses can and will teach students the basics of the foreign language, but ultimately, it’s up to the student to exercise these newfound skills, just like anything else one learns. Unfortunately, learning a new language is not like riding a bike. It is a type of skill that one can quickly forget if he or she is not using it. Learning a new language is like trying to speak all over again! A student is literally back in grade school trying to learn his or her ABCs all over again. Think about it, when a person first begins to learn how to communicate, he or she will first learn their ABCs, then are taught the basics—no and yes, body parts, food and drink, colors, directions, and eventually the vocabulary grows more sophisticated depending on one’s environment and cultural surroundings. The same thing applies when learning a foreign language. Only this time, there is the sometimes overbearing task of responsibilities that demand attention throughout one’s adult life. Which language to choose? There are so many different choices when it comes to learning a new language. However, it is recommended to select one that will complement one’s career goals. 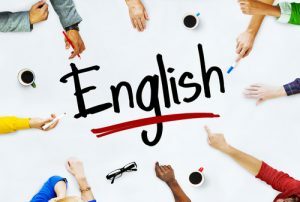 For foreign students, English is going to be considered the foreign language. Many students have romanticized the notion of learning a new language only to realize that it has no use for them in the future. For students who are fluent in another tongue other than English, it is strongly considered to take English as a second language. The best way to learn a new language is to immerse oneself in the culture. That is why most colleges and universities offer study abroad programs. However, one needn’t go far if he or she decides to go to a college in the rich, diverse area of South Florida. It is all a matter of connecting with the right people. Florida National University (FNU) has a wide array of student groups and organizations that work as a perfect networking tool to communicate and socialize. Master the ABCs and 1-2-3s! When enrolling in a new language course, the instructor will teach students the basics, but it is up to the students to know and understand it. This can only be done by repetition. A couple of hours of class time can only do so much. Students must take the initiative to carve out a few hours of study time outside the class. He or she must at least be able to recite that foreign language’s alphabet as easily as he or she can recite it in his or her own native tongue. If one is determined to learn a foreign language and immerse one self in its culture, the next thing a student needs to do is learn how to count. Contrary to the laws of nature, money does talk! Money is all about counting, know how much money is required to buy a bus, plane or train ticket and even eat. Knowing one’s “ABC’s and 1-2-3s” is so much more than just singing it as a song! Again, college courses will teach students the basics, but there are just going to be some things that one will have to articulate on his or her own that won’t be in a textbook. However, by mastering the basics of certain ‘universal’ questions, like “Where is the bathroom?”, “Where is the train station?”, “Where is the hotel?”, etc., one will be able to communicate better than he or she would have had he or she had not of learned the following questions that typically involve directions. It could be argued that writing is a lost art, but nothing can be further from the truth. What happens when a waiter presents a patron with bill? What would a person do once their hotel receipt has been issued to them in a foreign language? No matter how advanced our technology has become, the technical skills of reading and writing will always remain prevalent. The quickest way to learn a language is to find a study group and/or partner to communicate with—in that foreign language. This will excel the learning process and help keep the new vocabulary in one’s long-term memory. This can also be done through the use of social media by finding chat group that will help one exercise his or her writing and reading comprehension skills. For new high school graduates looking to obtain a higher degree of learning while mastering the English language, consider a college or university in South Florida. FNU is the located in South Florida. We have three campuses dispersed in Miami and Hialeah that include a Training and Distance Learning Center. Our university is in the perfect region for someone wanting to master a new language. If you are looking for the perfect school to learn and master the English language, call us today to start the enrollment process now!